The evening opened with DJ Cash-Era playing some tunes as the audience gathered in the elegant ballroom of the Richard Driehaus Museum, that mansion of the Gilded Age. The ballroom’s coffered ceiling, heavy damask draperies and carefully restored woodwork and wall coverings created a fine environment to celebrate Chicago music and lit. Kevin Coval, Chicago poet and activist, was there to talk about the young poets he works with and read from his poetry collection, A People’s History of Chicago. But first, he introduced the musicians from the Huey Gang (Headstrong Urban Educated Youth) to perform “The Go,” a Chicago song they called a counter-narrative to Spike Lee’s film, Chi-Raq. Coval is founder of Young Chicago Authors and Louder Than a Bomb, the largest youth poetry festival in the world. He talked about how he grew up in Chicago and Northbrook and how music and specifically hip-hop helped him learn. “Hip-hop sent me to the library,” he said, “because the poets … singers I loved mentioned names I didn’t know.” And so he discovered the public library, where you could read books free and the librarians would help you find them. He also talked about “going through the crates” of history, as you would go through an old record bin. Two books that were especially influential were Lerone Bennett’s Before the Mayflower: A History of Black America (1962) and Howard Zinn’s A People’s History of the United States (1980). The Zinn book inspired Coval’s new collection of poems, A People’s History of Chicago. The book is a magnificent collection of poems that both love and condemn our city. Each of the 77 poems represents one of our neighborhoods and honors a moment in Chicago’s history. Other readings included “Thomas Dorsey, Gospel’s Daddy” and “Molemen Beat Tapes” that were “copped from Gramaphone,” the Chicago record company. class talked specifically to me, for me. 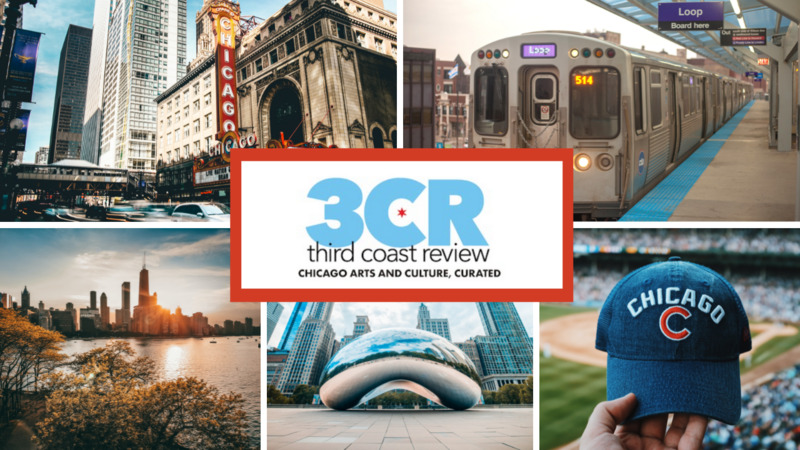 The book opens with a foreword by Chance the Rapper, who calls Coval “my artistic father.” Portraits of some of Chicago’s famous citizens by artists including Hebru Brantley, Bianca Pastel and Max Sansing illustrate the book. You can buy Kevin Coval’s A People’s History of Chicago (Haymarket Books, 135 pp, 2017) from bookstores or online booksellers. The price is usually $17 but buy it now for $12.